Without a roster or prior knowledge of the team, it might be difficult to guess that senior Joshua Kalu and junior Aaron Williams both play the same position. One is listed at 6-foot-1 and 195 pounds, the other 5-foot-11 and 190. Run them through a combine-style series of tests and they would produce different results. But together, they form what might be the strongest position group on the defense. The safety position has inspired a lot of confidence in the coaches and media covering the team despite the fact that neither player actually played at that spot full-time last season. Kalu has been all over the defense during his career at Nebraska, playing nickel, corner and now finally safety. Williams played safety last year, but his primary responsibility was to man the nickel corner spot. However, according to Booker, that background will only serve to make them better safeties. Williams in particular has been praised for his football intelligence, and that begins with his practice habits. Last season, Williams had 62 tackles including six for loss, three interceptions and seven pass break-ups, and when Chris Jones underwent surgery it was Williams who took his place in Chicago to represent Nebraska at Big Ten Media Days along with quarterback Tanner Lee and linebacker Chris Weber. As for Kalu, he finished with 66 tackles including four for loss with 11 pass break-ups and one pick. It’s not just those two, however. Look to the bench and the Huskers can bring in yet another body type in junior Antonio Reed, who had 22 tackles and two pass break-ups while playing safety, dime and on special teams. 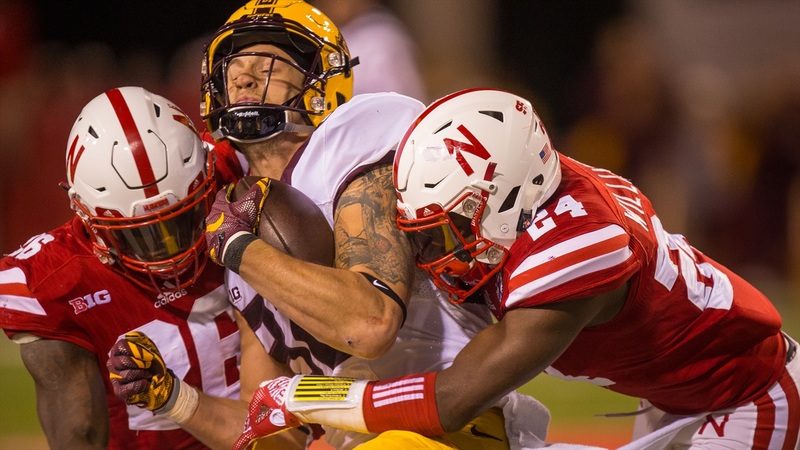 Add in senior Kieron Williams, who is the team’s leading returning tackler after recording 69 tackles including four for loss and a team-high five interceptions as a junior and Nebraska has four players at the position who have seen significant snaps. Will fans see a rotation at safety to take advantage of that depth of talent and experience? That has yet to be determined. “I think it’s year-to-year,” Booker said. “I’ve had years where we’ve rotated every series, and I’ve had years where two guys have played 900 snaps. I think it just depends on the year. I think that in college football, the tempo that you go at, the tempos that you see, it’s awesome to have some sort of rotation as far as guys that are able to go in and spell guys so that they can be playing 100 percent every single play. Regardless of who sees the field, safety is one of the most important positions in Bob Diaco’s defense and they will have a lot to say in how far Nebraska goes this season.